Viral posts and sites come and go. One minute we are caught up in the excitement of the news and the next minute we are focused on the something completely different. That’s how our society works – We have to move quickly from idea to idea because there are so many stories vying for our attention. I’ll admit, I’ve had a few days where I’ve spent way too much time taking the “What Disney Character Best Portrays You” and other related Buzzfeed quizzes. Don’t get me wrong, they were fun and it was entertaining to match my result with my friends, but the reality is that I was doing nothing more than filling my life with nothingness when I could have been doing something to change the world. Some of you may remember Freerice and others may not know of it because it went viral back in 2007/2008. Well, it has been 7+ years since then I think it’s time that we put it back in the spotlight? Because there are people going hungry every day and we have the power to help them. 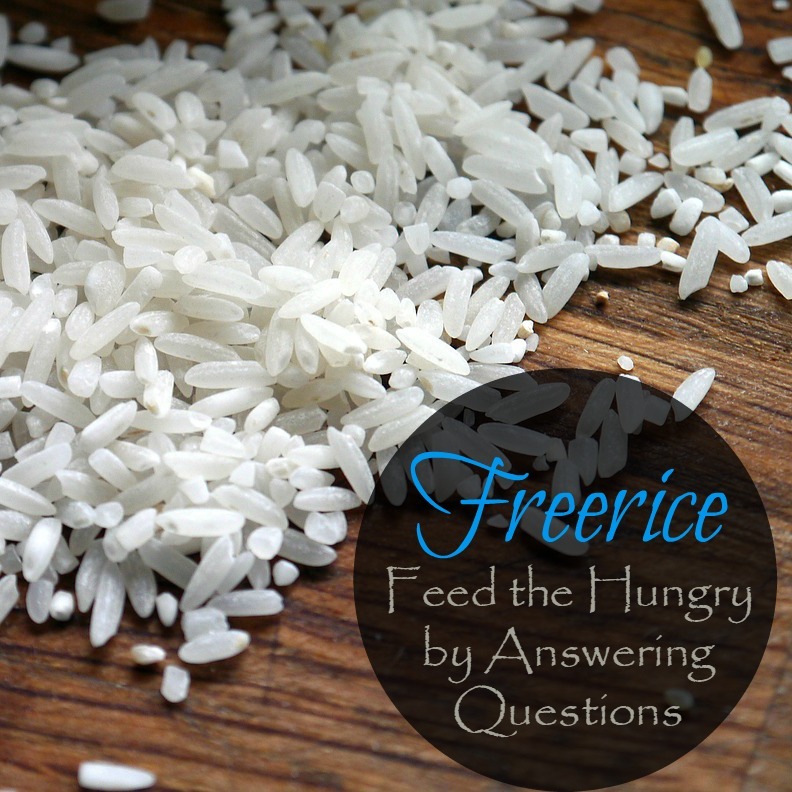 The concept is simple – You head over to the Freerice website, start answering questions based on various subjects, and then earn grains of rice for people who need it most! You even have the option to create an account so that you can track how many questions you’ve gotten right, as well as challenge friends in various groups. This is a great way to have a little friendly competition while giving back to those who are going hungry, whether they be on the same streets you live on or 7,000 miles across the world. No! Freerice operates on sponsorships, so you don’t have to worry about paying a dime (unless you want to donate). 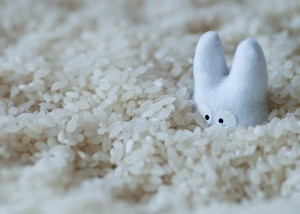 All you need to do is put your thinking cap on and answer the questions so that you can start loading up the rice bowl! For one right answer, you get 10 grains of rice, and the amount continues to increase with the more correct answers you get. 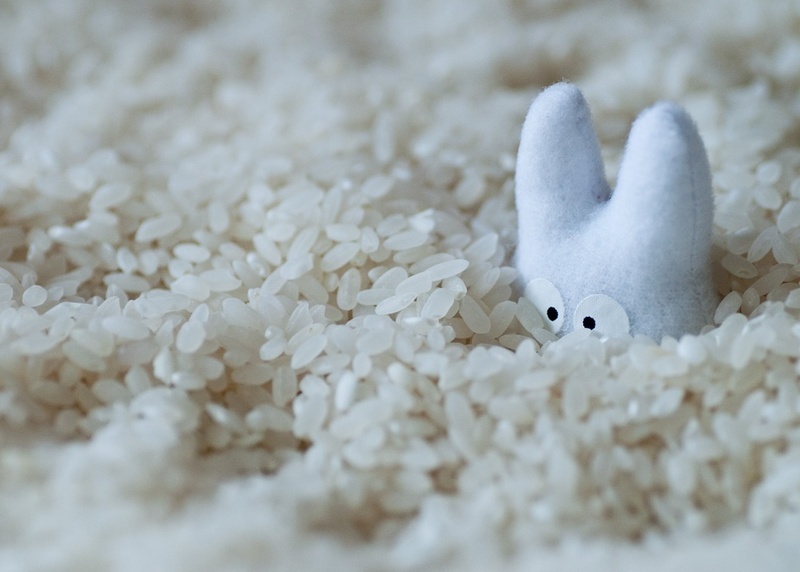 How Much Rice Has Freerice Donated? You’ll notice that there is over a 41 and a half billion difference between the two. Sadly, the first number is the number of grains of rice donated in 2008 and the second number is the amount donated last year (2014). Don’t get me wrong – these numbers are still amazing and the world is helping people to get food, but there is SO much more that we could be doing! I honestly don’t know why I haven’t been on Freerice more. I can only imagine how much rice I could have contributed by this point if I had just answered even 20 or so questions each day. Imagine if everyone in our world did this… We could easily beat the 43,942,622,700 grains of rice that were donated in 2008. The next time you are bored at work, need to study for a test, are preparing to take the SAT, want to challenge your friends to see who is smarter, have a few minutes of downtime throughout the day, or simply a heart to want to help people (have I covered everyone yet? 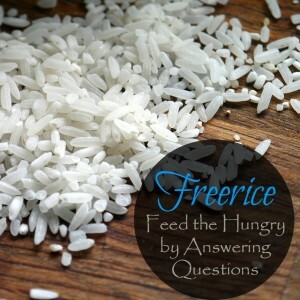 ), get on Freerice and answer some questions. You may not have money to give or the ability to meet the individuals who will be receiving this rice, but you do have the ability to use your knowledge to make a difference in this world. Come on everyone … We were born to use our minds and brains for good. Let’s make this happen! 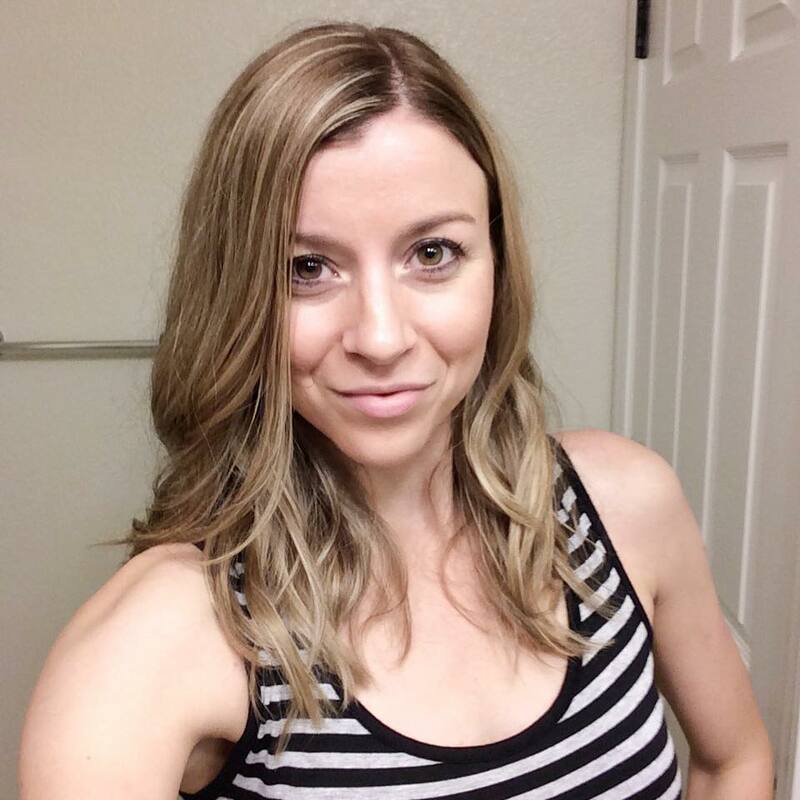 How have I not heard of this site before?!!! Wow! Where have I been?! I’ve just bookmarked it! Thanks for the share! Isn’t it amazing?! I had forgotten about it but randomly remembered the other day, so I immediately got on and started answering questions 🙂 Hope you enjoy it! It is so amazing how much we do forget in our crazy busy lives that there are people less fortunate than us. That need food or a prayer or even a hug if it helps. This is so great, I can not wait to look more into it! Thanks for the post! You are so right, Christine. We get so soaked up in what we are doing that we forget how good we really do have it. I have never heard of this site before or any of this information about the movement or challenge. I’m definitely bookmarking this and sharing it with some friends. This is a great way to help donate. Thanks for spreading the word about it! Great post! I have never heard of this. I will check it out. Awesome! This is a much better way for me to spend my downtime than Buzzfeed videos. I know right?! I’m totally guilty of spending too much time on sites that do nothing for the greater good. I remember doing this a few years ago. I am going to have to brush up on my civic skills while earning rice. I need to bookmark the site as well. What a great concept. I’ve already donated 200 grains of rice. 🙂 Thanks for sharing!